What could be the definition of architectural practice? Session 7 led by Ashley Grzywa and Javier Maymi, explored how the traditional definition of ‘practice’ is evolving through various modes of research and collaboration with non-traditional design and construction professions. Throughout the afternoon’s session, presenters discussed and shared experiences integrating research, education, public art, poetry and mindfulness into their own architectural practices. An exploration of a facade design of vertical fins and horizontal shading patterns to reduce glare and increase daylight at the Engineering Research Center at Brown University. The transformation of a historic brewing manufacturing building to KieranTimberlake’s current office space where they were able to reduce the overall size for the building’s mechanical equipment while maintaining occupant comfort levels. A shading comfort analysis that quantified the effects of an exterior shading design on indoor thermal comfort at UCSF. Investigations in letter packing at Drexel and the potential random patterns of alphanumeric characters for a facade design graphic. Opportunities for staff members to participate in community focused initiatives. Why do we practice? Why is freehand drawing important? These were some of the questions posed by Eric Jenkins, a professor at Catholic University’s school of Architecture and Planning, during the second presentation of the session. Eric noted that teachers of urban practice strive to answer the question of how to become immersed into urban practice, and ultimately engender a community of practice. Eric related the qualities of a great leader to drawing, specifically citing the best as both leaders and followers. Eric’s presentation then explored the importance of freehand drawing, not just in architecture, but in a number of other professions, such as medicine. Architectural design is difficult, and the rapid, repetitious exploration of ideas that freehand drawing allows is invaluable in solving complex problems faster by sorting the information. The act of doodling serves as a memory palace, which helps one remember substantially more info while highlighting what’s important at a high level. 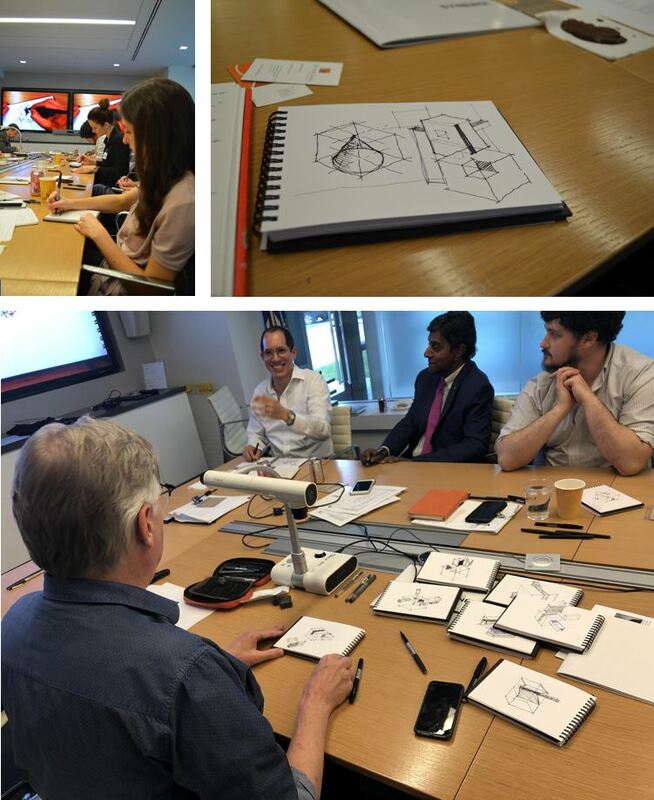 After discussing the importance of freehand sketching, scholars were given sketchbooks and tasked with drawing a number of axonometric shapes individually, eventually sharing their illustrations with one another to build off of each other’s sketches in a rapid-fire, freeform manner. The last presentation of the session consisted of multiple speakers who shared both their personal and professional journeys, with an overarching theme of what practice means to them. Raj Barr, President of Barr-Kumar Architects and a professor of Architecture and Urban Sustainability at UDC, shared his story of having the courage to take a large risk and develop his own home in Maryland, which he eventually used as a springboard into his role as a developer in the DC-Maryland-Virginia area. Bill Hutchins, an author, poet, and ‘architectural midwife’, shared the personal events that became the catalyst of a drastic shift in his way of practicing architecture, with his daughter’s insistence on that he ‘play’ again shifting his perspective on the idea of what ‘Home’ was and space as a whole. Hiroshi Jacobs, an associate principal at Studios Architecture, shared a number of art installations of different scales at a variety of locations that he’s created through HiJAC, a trans-disciplinary art and research practice, founded by Hiroshi. 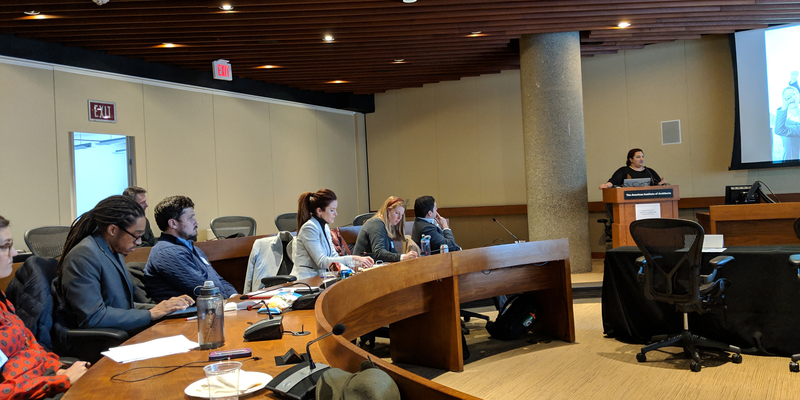 Andrea Swiatocha, a manager for DC Public Schools (DCPS) facilities team, shared her professional journey of working as a project architect on school modernization projects in Arlington, Virginia, to leveraging that experience and eventually overseeing all DCPS school modernization projects. At the end of the panel discussion, it became clear that each of the panelists unique interests, between poetry, art, real estate development, and education, helped them to forge their own practice. Scholars were then challenged to define their own definitions of practice. The session wrapped up with happy hour at Blackfinn. 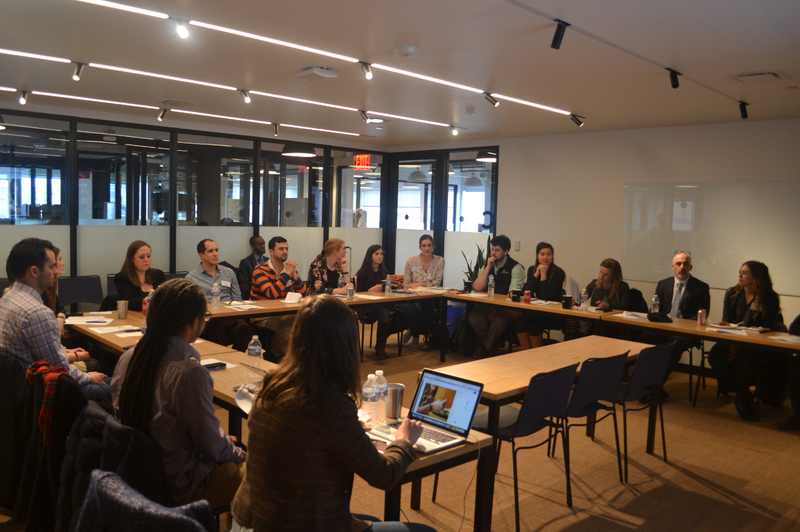 March’s session on Industry Trends was fittingly located at WeWork, a nationally trending hot spot for collaborative workshare spaces. Presentations focused on Industry Trends with a heavy emphasis on technology, sustainability, and research. 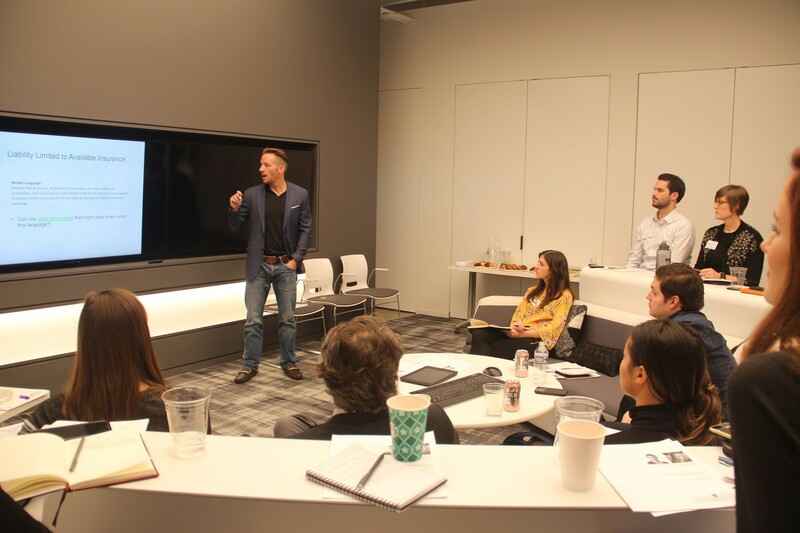 The session comprised of multiple presentations by industry professionals including architects, BIM consultants, and contractors, as well as an interactive activity where scholars grouped together to experience “Building Overtime”. The afternoon’s first presentation was given by Karen Whitt, of Colliers International. Karen oversees property management assignments in the United States for Colliers International. She, along with a third-party consultant, The Layer Group, are educating landowners on current and future risks and potential revenue opportunities of Augmented Reality in the built environment. Buildings are currently being used as a gateway for commerce experience. This integration is set to explode with the forthcoming implementation of the 5G network. Courts and landowners are looking to understand who owns the rights to Augmented Reality on buildings and public spaces. Risks include unintentional and unwanted AR activity on any given property. The potential revenue opportunities include advertising, rent, and data collection for the owner. AR integration into the built environment also has many implications for Architects including the aesthetic alterations of buildings, the impact on Historic preservation, and zoning regulations. The second part of the afternoon began with the individual images, “visual disruptors” impacting the future of the industry, selected and explained by each scholar. The images targeted many topics including generative design, prescriptive programming, robotics, global population growth, AR/VR, and wealth inequality. A round table discussion followed with a group of diverse industry representatives. Julie Siple, who oversees Quinn Evans Architects’ sustainability practice, spoke about climate hazards and climate change impacts. She shared case studies of ways Architects are living up to the challenge of making more sustainable buildings. David Stone, Director of Virtual Construction at HITT Contractors, spoke about the challenges the AEC industry faces with implementation of virtual workflows. He showed how HITT is using VR technologies to review and coordinate issues in the field. John Skippers, a BIM consultant with Adaptive Studio, shared the current state of Revit implementation among firms, including examples of Dynamo and Data standards. 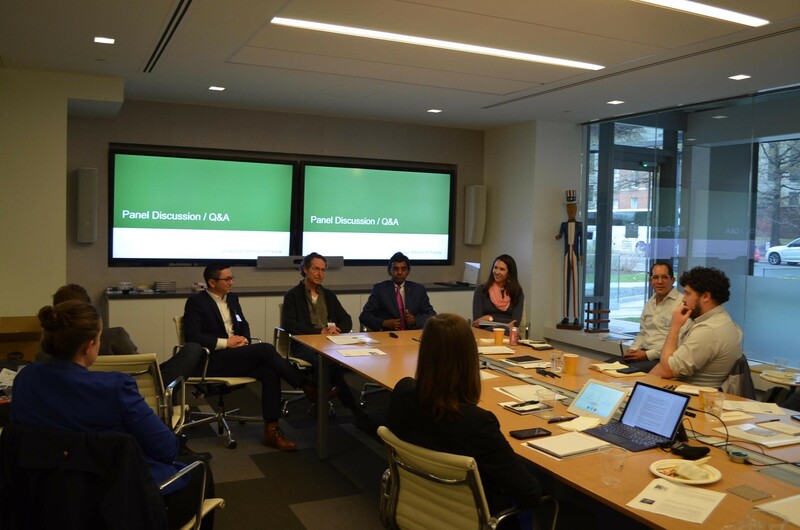 A lively discussion followed the presentations, during which scholars actively engaged the panel in conversation about the risk and reward of the industry, the ability to track success and failures through data systems, and the role of regulation in successful sustainability efforts. During this group activity, scholars were split into 4 groups of 4 and given a vague task of creating an object by folding paper. Initially, scholars were given a set of written directions, representing specifications. Next, scholars were given a set of 2-D diagrams, representing construction documents. 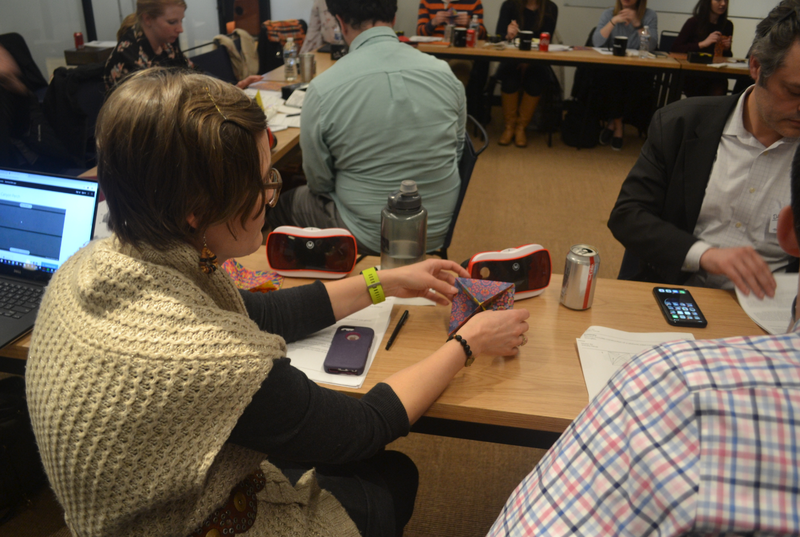 Finally, scholars were given a set of 3-D diagrams, that could also be used in a virtual environment. A conversation followed regarding the Architects’ role and deliverables of instruments of services. Marcus Monroe, a BIM Consultant with Graphisoft shared information about Virtual Reality (VR) implementation into the architectural office workflow. Marcus explained the BIMX mobile tools and integration with ArchiCAD, which offers friendly user interface for navigating construction documents and presentation drawings. The final presentation of the afternoon was given by Lorenzo Villaggi, a research scientist associate with The Living, an Autodesk Research Studio. 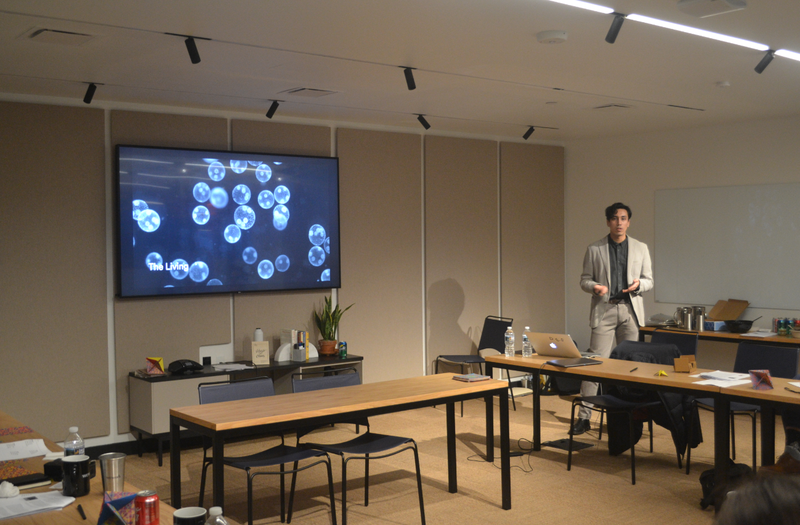 Lorenzo presented three concepts and case studies including Bio Computing, Bio Sensing and Bio Manufacturing. Each case study utilizes information derived from biological sciences, research, computer programming, and fabrication. For the Bio Computing project, the studio created an algorithm to develop geometry based on the growth of Slime Mold. The Bio Sensing project combined natural intelligence with artificial intelligence by using living organisms in the water to retrieve information and data on the health of the water. The Living studio developed a “Bio Manufacturing” process using living organisms as tiny factories to create building blocks for an installation at MOMA’s PS3. Lorenzo shared that he sees generative design as one part of the process, as architects are responsible for curating outcomes. Ultimately, he said, AI will not replace design knowledge, but will be an integral part of the way we work and design buildings. 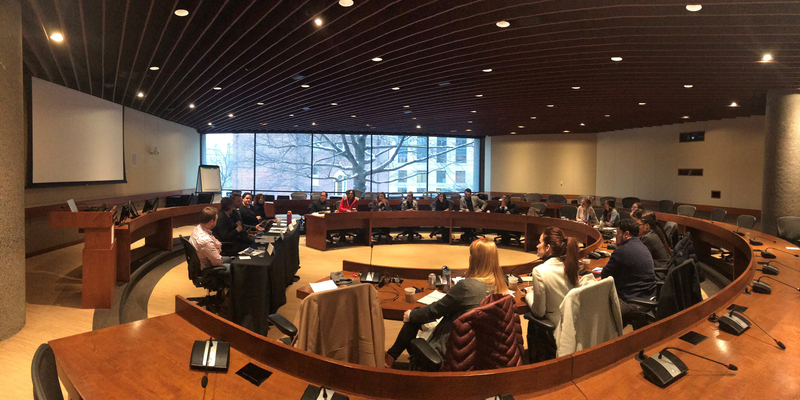 Ruben Quesada and Amy Daniels organized Session 5, Closing The Deal, at the AIA National Headquarters in the AIA Boardroom. With such a dignified backdrop to the session, the content couldn’t help but be educational and meaningful. 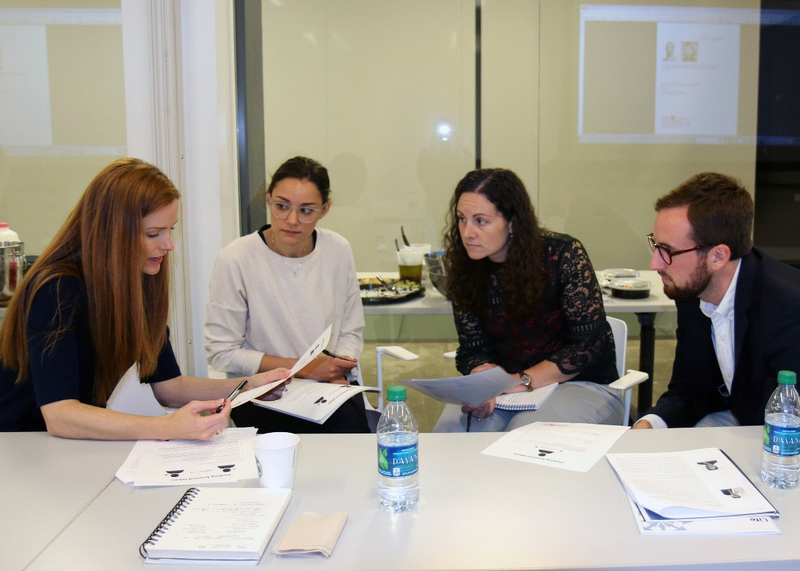 After Ruben and Amy gave the group a warm welcome to the session, they introduced the first speaker – Lauren Ewan – the Director of Marketing and Communications at Hickok Cole. Lauren’s presentation titled “Brand and Beyond: The New World of AEC Marketing” focused on the tools that firms need to win and sustain clients in the new world of social media and growing competition. As an icebreaker, Laura asked scholars to form and defend a position on whether architecture was a profession or a business. 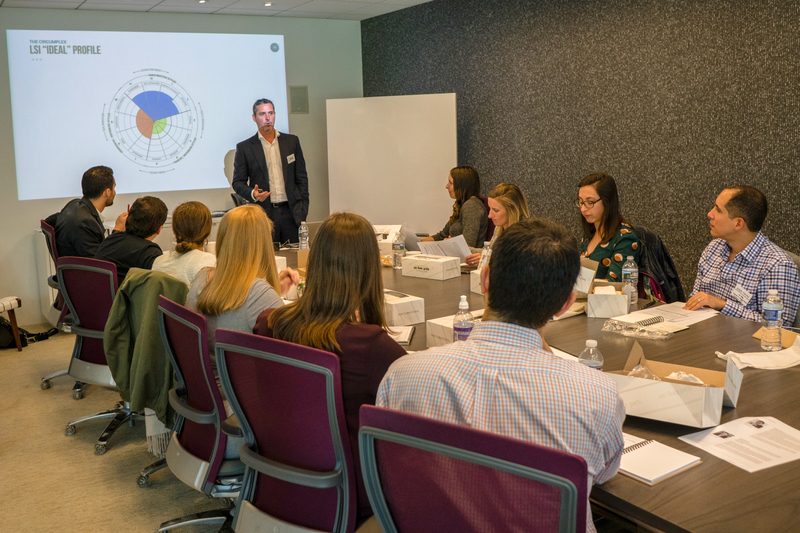 Throughout the presentation, scholars learned about the makeup of a great marketing team and how each person’s interests and talents can be translated into a firm’s marketing strategy. Scholars learned that architects only recently began to legally be able to advertise their services in 1977, and there is still a culture that “the work should speak for itself” that permeates our profession. This mentally has allowed architects to believe that marketing is not necessary when the stakes are higher than ever to win both projects and talent. In today’s market, customer relationships are the key to continued success. Every interaction with a firm is an opportunity to strengthen a client’s association with a firm’s brand. Not only does brand include the mission of a firm, it also should include its culture, projects, and people. This brand should always be cognizant of a firm’s strategic plan with 1, 3, and 5 year goals that align with the overall marketing strategy. The remainder of the session was centered around preparing for a mock interview in response to an RFP that Ruben and Amy had created. At the previous session, scholars had been presented with the task of repurposing RFK Stadium and were required to create a firm with teams of four. Each team would take a different approach to building a firm and proposal. In preparation for the interviews, Melanie Varcas from Cakewalk Strategies led the second presentation to provide some last-minute inspiration and education on how to approach any RFP. Scholars learned how to prepare and present for an interview relating to the RFP they had been tasked with. Scholars also learned the importance of passion and a clear message to the. The interview should be a team effort, allowing every participating member to shine and show their enthusiasm. Including consultants in the interview allows a team to answer technical questions and create a clear and holistic vision. Project leads who will be directly involved in the day to day with the clients should be highlighted as well. Melanie’s presentation was followed by a short break for final interview adjustments and then the room settled in for the interviews. George Hayward from JBG Smith, Tim Williams from ZGF, Stephen Kitterman from the Architect of the Capitol, and Melanie Varcas all acted as selection team members for the RFP that had been created. 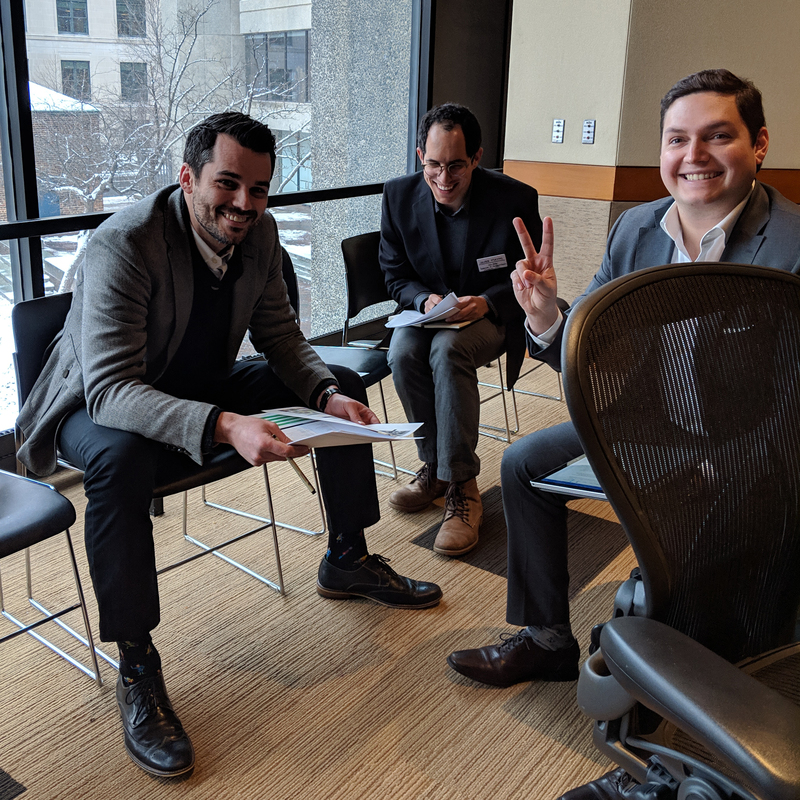 Each team presented their proposal within their 20-minute allotted time and the jurors provided comments specific to the proposal and the presentation style. Their helpful feedback, a combination of comments on scholars’ styles and “firm” strategy, benefitted each presenting team as well as the remaining teams in the audience. As audience members, scholars could experience how important enthusiasm partnered with a clear and client specific vision can set a team a part in a row of interviewees. Following the close of all the interviews, the jurors turned back to the room for a panel discussion on the interview process to share personal insight and experiences they had individually faced in similar situations. Many of the questions had to do with the interview that just took place as well as what everyone can bring back to their firms. Scholars learned how to win clients through the SPIN model: Situation, Problem, Implication, Needs-Based Solutions. The SPIN model encourages asking questions and listening rather than pitching ideas or solutions with no context. At the end of a very intense but wildly interactive session, scholars and presenters traveled to Hive Bar for conversation and comradery. We’re all looking forward to Session 6 in a week! The first act of the afternoon was presented by Rick Schneider, Dan Snook, and Marisa Brown of ISTUDIO Architects in partnership with Mike Hill of the US Forest Service. 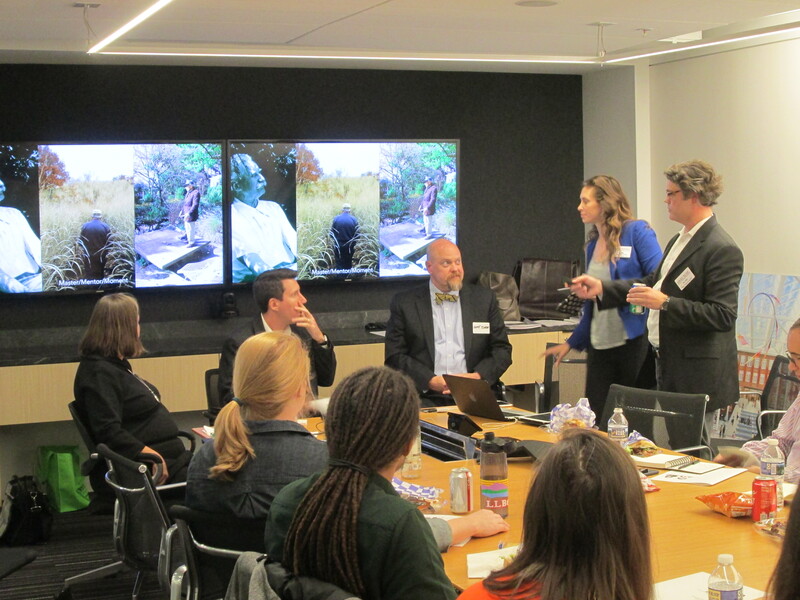 ISTUDIO has done several projects with local agencies in DC as well as with agencies across the world. They described two types of communities involved in any project: community of place, affected because of their proximity to the project, who often have limited concerns and have an increased chance of long-term reliance to the project; and the community of interest, who are often visitors to a place because of its historical/cultural/activity-based significance. ISTUDIO exhibited several projects to allow scholars to better understand necessary tactics they utilize to understand how to engage with different communities of interest. To understand the complex relationships that each project must consider, scholars then worked through a design charette for an Arboretum Recreation Center. During the exercise, each scholar was assigned a community member type (senior citizen, parent with children, single adult, and arboretum representative) and tasked with designing the program while analyzing adjacencies of a neighborhood recreation center located next to the National Arboretum. This charette was a great reminder that there are many stakeholders affected by our work, and one of the most important things we can do as architects is to listen. Created new local branding strategy to give identity to city. Created local TEDx talks for community members to share ideas and meet each other. City saw a 6% increase in budget after increase in new business and housing. Lowest crime rate in 31 years after several initiatives looked at the root problems many residents faced. Average citizen’s age has dropped after many young families have moved to the area. Created housing for 1/3 of the chronically homeless population by working with community groups. Our final act of the session was an opportunity to actually give back to the community by serving meals at Central Union Mission. Central Union Mission is a faith-based nonprofit organization, which serves as an emergency men’s shelter and operates a transformation program. As we walked to the Mission, we discussed with fellow scholars strategies we would like to employ to engage with the local community. 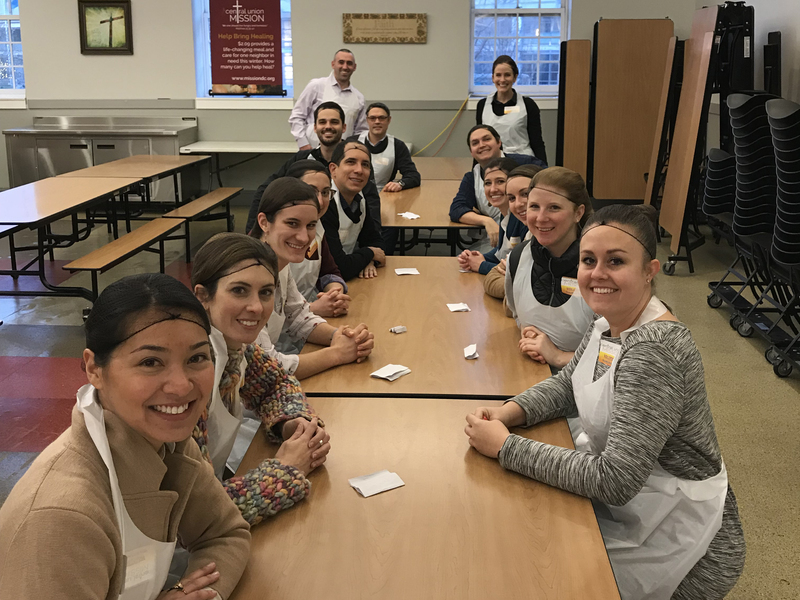 Once at the Mission we were given a brief history of the organization and were assigned our roles for the dinner service. Scholars plated food, delivered dinner to guest, and cleared plates to close out an inspiring and self-reflective session. 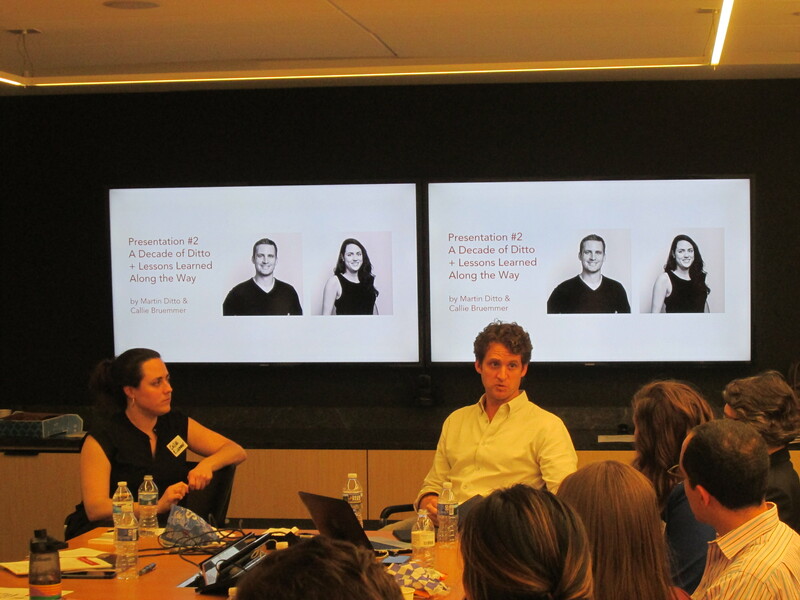 Kathryn and Francis prepared the third session titled “The Art of Negotiation,” which was held at the Fox Architects’ theater space in Washington DC. 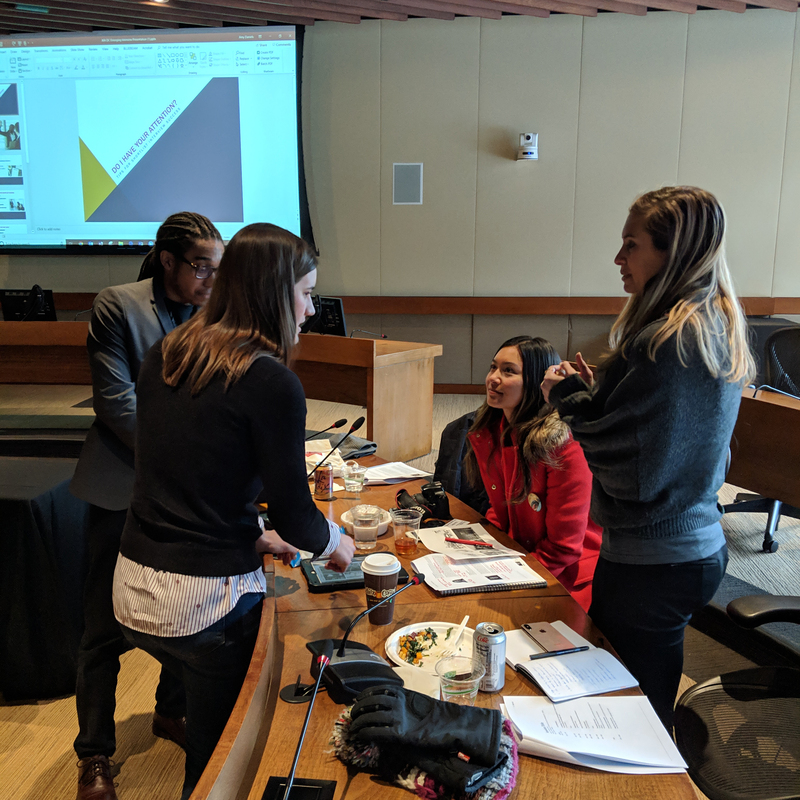 Throughout the afternoon scholars were involved in discussions on four types of negotiations that are experienced through one’s career progression: Project Proposals, Career advancements, Standard Contract Terms, and Enforcing the Contract. Prior to the session, everyone was asked to review a case study that was analogous to an Architect’s Standard of Care. The presenters shared valuable lessons learned throughout their own negotiations and careers to allow the scholars to see these concepts in practice. During the first presentation, Janet Rankin RA -Director of Operations at HYL Architecture -presented on key elements included in an architectural proposal and strategies for their successful negotiation. Ms. Rankin shared her 25 years of experience in the real estate industry to identify different approaches that can be taken to secure a project. 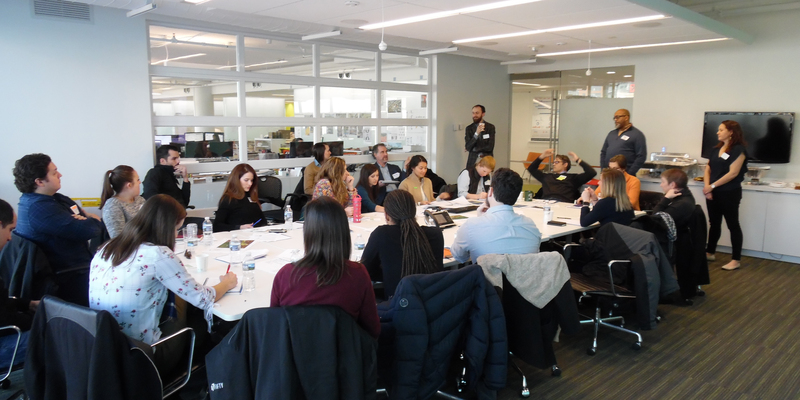 Robert Holzbach, AIA, LEED AP -Associate Principal and Director of Staff Operations with Hickok Cole Architects -gave his advice on how to negotiate for oneself at various stages along the career path. 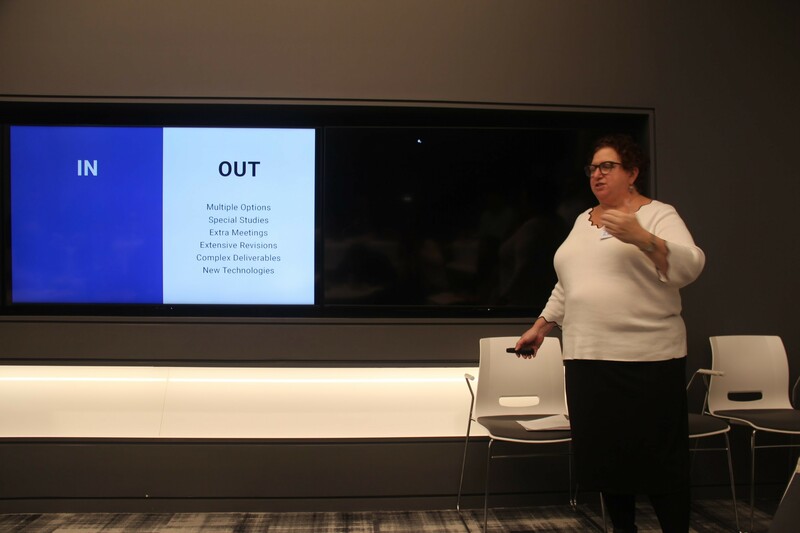 Holzbach, a hiring and staff operations manager with over 20 year experience, shared “do’s” and “don’ts” from past experiences when negotiating for a new position as well as a raise or promotion. The discussions focused on understanding what a successful negotiation is, establishing goals for the negotiation,and understanding the power landscape. He presented ways to leverage the concepts of hourly and billable rates to help the scholars achieve their career goals. He stressed that successful negotiations make both parties feel like they’ve won, and that reaching agreement and trust are key components to negotiations of any type. Mike Koger is an attorney on the Contract Documents team at the American Institute of Architects in Washington, DC. At the AIA, Koger works with a group of attorneys and architects to create and revise the AIA contract documents. In the third presentation, Koger focused on the industry’s most negotiated aspects of the contracts: limitations of liability, indemnity, ownership of design,and the Architectural Standard of Care. Prior to the session, the scholars reviewed a Massachusetts case from 1850, Brown v. Kendall, an assault and battery case study that served as a teaching point for applying the Architect’s Standard of Care. During the round table discussion, speakers took part in a moderated dialogue and open questions from the scholars. 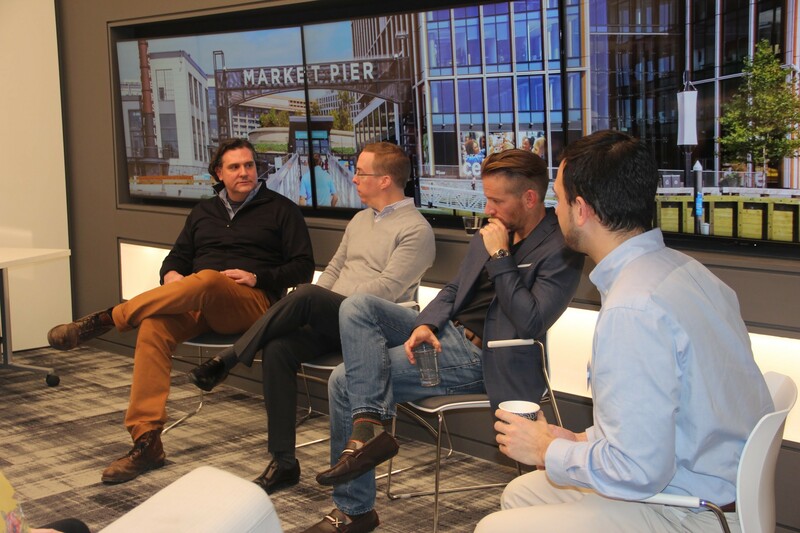 The round table participants were Mike Koger, Derek Warr, AIA, LEED AP BD+C, Studio Director of the Lifestyle 2 Studio at Gensler, and Derek Wood, AIA, LEED AP, a managing principal at FOX Architects. Pairing Warr’s and Wood’s experience working with numerous contract types and negotiations with Koger’s expertise on contract language provided the scholars varying perspectives on theoretical, legal, and actual processes for enforcing the contract. Key recommendations included using the contract as a road map for managing the project and to request a copy of the Owner/Contractor Agreement to better understand the Architect’s rights and responsibilities during construction. This session focused on the underlying themes that are fundamental to firm productivity, entrepreneurship, collaboration, and leadership but that are often not learned in educational study or in professional practice. By drawing on discourse that started in CKLDP Session #1 “Working Together,” this session engaged participants through a roundtable discussion between three experienced firm leaders on firm management and lessons learned along the way; a presentation from a successful entrepreneur on business opportunity and branding; and through an interactive group activity on self-development and leadership. During the roundtable discussion, speakers engaged in a moderated dialogue that incorporated questions from the scholars. 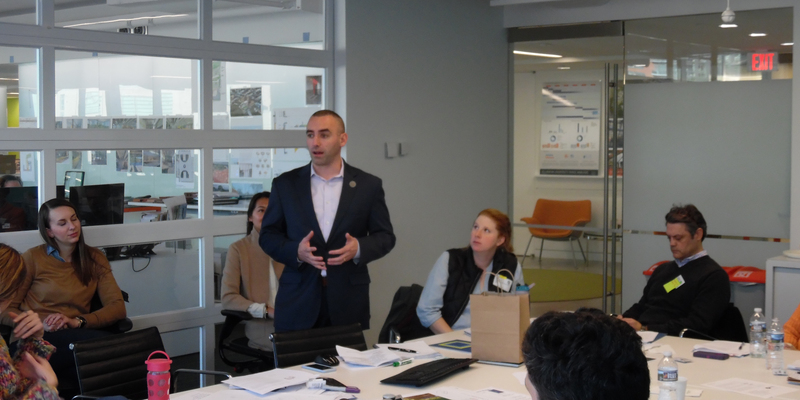 The participants were Matt Daw, a senior principal at Simpson Gumpertz & Heger (SGH) engineering firm, Ryan Moody, founder of Moody Graham landscape architects, and Barbara Mullenex, a managing principal at Perkins Eastman DC. 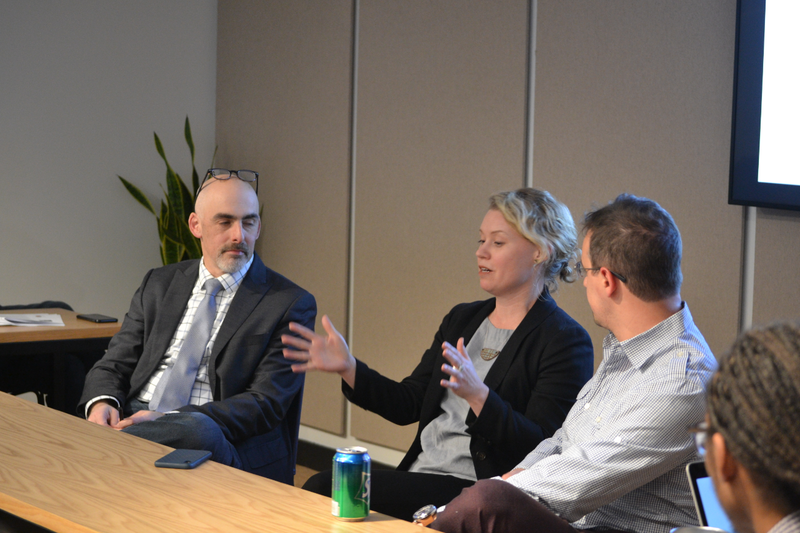 All three candidates discussed their paths through their own careers, from how they started to how they took on the positions they are in now, as well as lessons learned along the way. 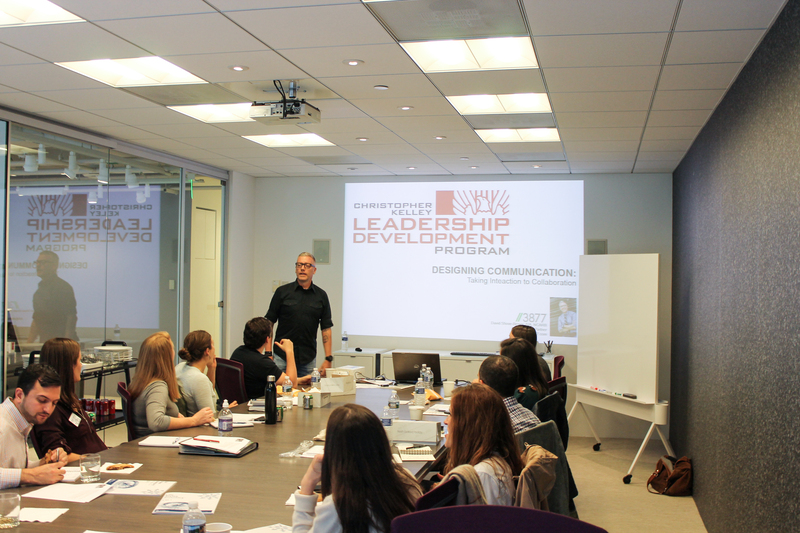 Much of the discussion focused around how architects can take the knowledge that they learned and possess from their education in design and apply those skills towards developing stronger business acumen and recognizing career advancing opportunities through leadership. Martin Ditto,founder and CEO of Ditto Residential, and Callie Bruemmer, Ditto’s Communication and Marketing Director, led the second presentation that gave a brief history of how Ditto started and how they have become the innovative real estate and development firm that they are today. 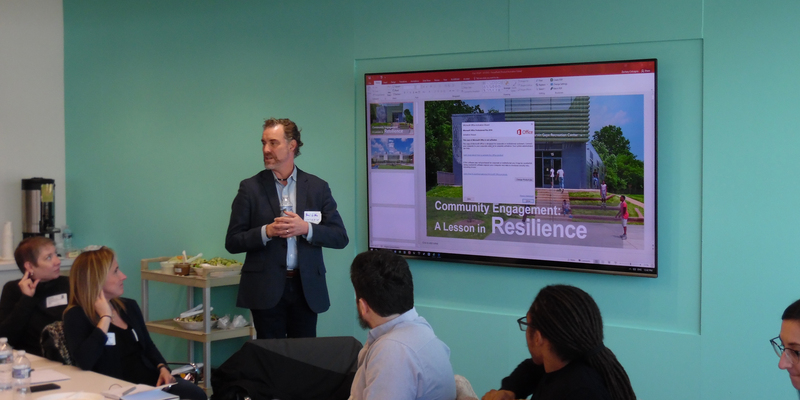 Martin discussed how his passion and desire to respond to underserved populations in DC has driven much of their business strategy and how his unapologetic attitude towards his work has benefited their mission and brought them significant recognition in the architecture community. With Martin, Callie discussed how she has helped to develop the Ditto brand and how it has helped to drive their success in the community and beyond. Jordan McAnaney is the Global Head of Organizational Development at Altisource Portfolio Solutions in Atlanta, GA, where he helps the company optimize the potential of their workforce and set goals for long-term growth. Jordan gave a presentation on the principals of effective leadership and methods for building individual development plans to help the scholars achieve both short and long term career goals. During the activity, the scholars were broken into smaller groups and were given mock scenarios in which they were able to practice the important and crucial skills of giving and receiving feedback. The scholars were asked to role play participants from the mock scenarios and come up with effective solutions to communicating and addressing a workplace issue. Session Sponsors: One Source Associates, Inc.
Ryan Petyak and Katie Selis organized the first session titled “Working Together,” which was held at the Knoll Showroom in Washington DC. Throughout the afternoon scholars learned how understanding personal characteristics, promoting creative collaboration, and practicing effective communication would encourage a successful, productive, and supportive workplace. Prior to the session, everyone was asked to complete a Life Styles Inventory (LSI) assessment, the results of which were discussed by the first presentation speaker, Cable Clarke. Next the scholars participated in a series of collaborative activities built on the foundations of improv comedy led by Shawn Westfall. Finally, David Shave-Brown gave a presentation on how to translate the skills learned during this session into the practice of architecture. 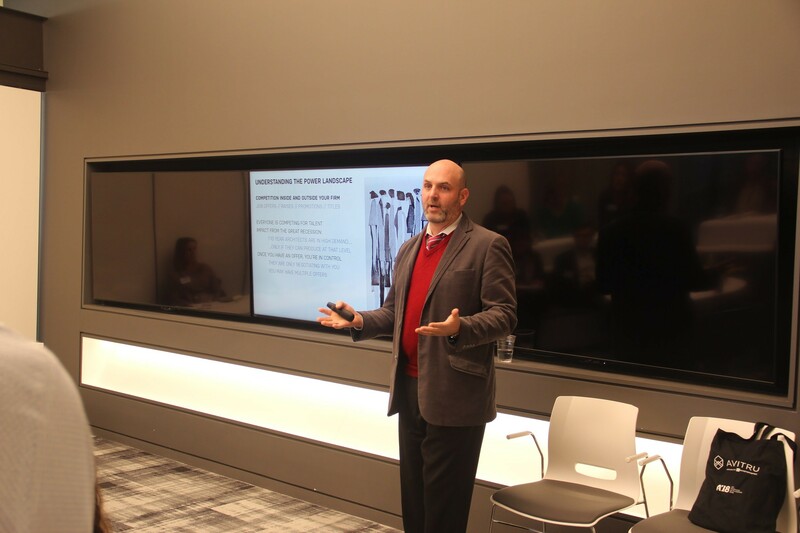 Cable Clarke, CEO of Clarke Consulting, began the session with a presentation focused on understanding the impact individual behaviors and personal traits have on the culture and climates of industries, agencies, and organizations. 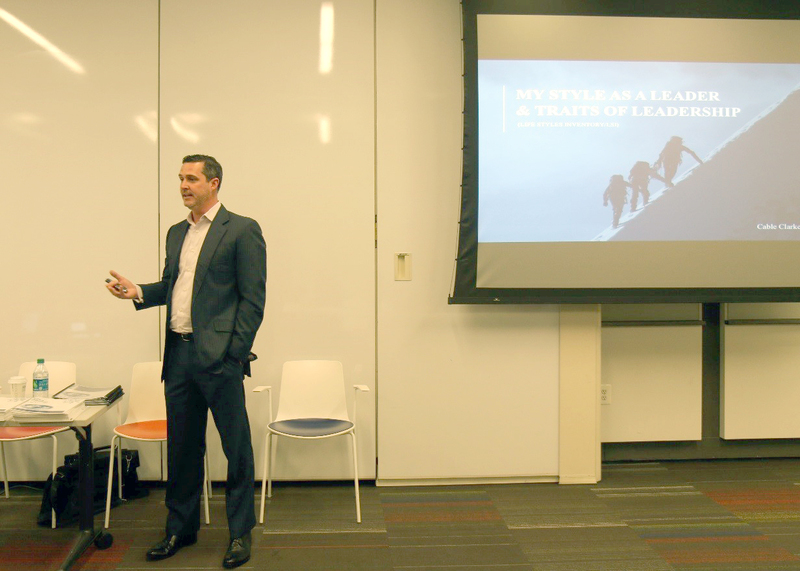 With over twenty years of experience, Cable shared past experiences with clients and discussed how the leadership styles of those at the top have a lasting impact on the perception and effectiveness of a company. For example, during the presentation the scholars were shown a series of logos from well-known institutions and asked to recount their official mottos and then describe how this informed cultural assumptions. The remaining portion of the presentation discussed the results of the LSI assessment taken prior to the session. Cable reviewed how the results can be interpreted and described ways in which everyone could improve in areas they saw fit in order to become more constructive and effective leaders. The scholars were challenged to consider potential areas of improvement and what they might be able to focus on over the next 7 months, and will retake the assessment at the end of the Christopher Kelley Leadership Development Program to determine if the work was effective. Cable offered to be a resource to the scholars for guidance through this process. 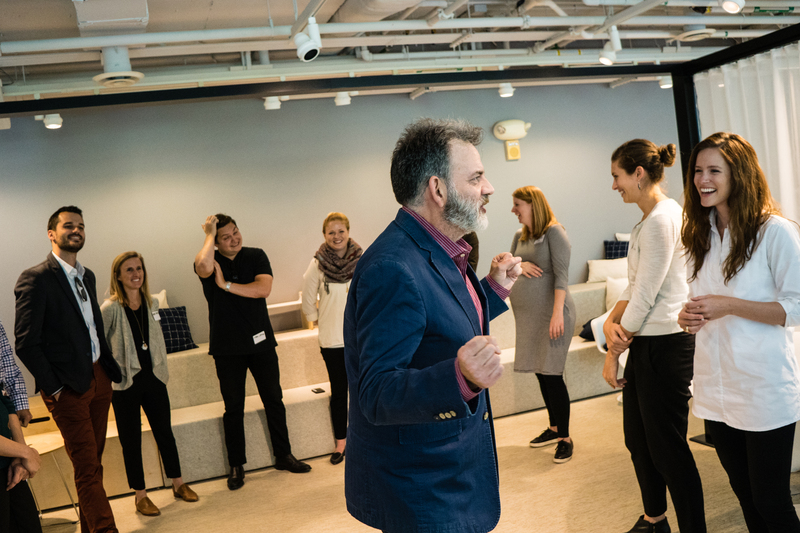 Shawn Westfall, CEO of Commedia Partners, lead the scholars through a series of improv comedy exercises during the second presentation of the session. Through growling like tigers, split second karaoke, trying to sound British, and constructing single word-by-word sentences from a six headed doctor the scholars learned the importance of the “Yes, And” principle. Utilizing his previous experience in marketing as well as his expertise in improv, Shawn demonstrated how open communication, egoless behavior, and encouraging trust between colleagues can lead to better and more creative collaboration. 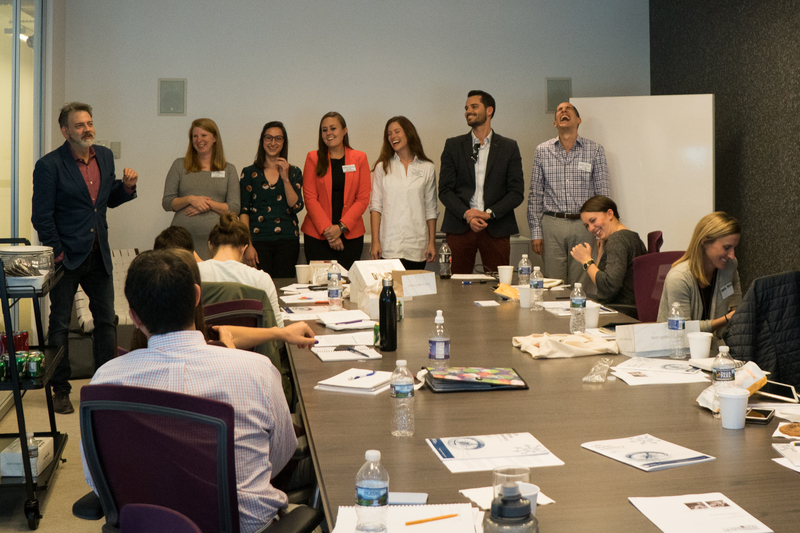 At the end of the presentation the scholars discussed how using the same mindset learned in improvised comedy could be brought into their workplace. The scholars learned that eye contact, being vulnerable, not overthinking, and having fun are simple strategies to develop creative communication skills. 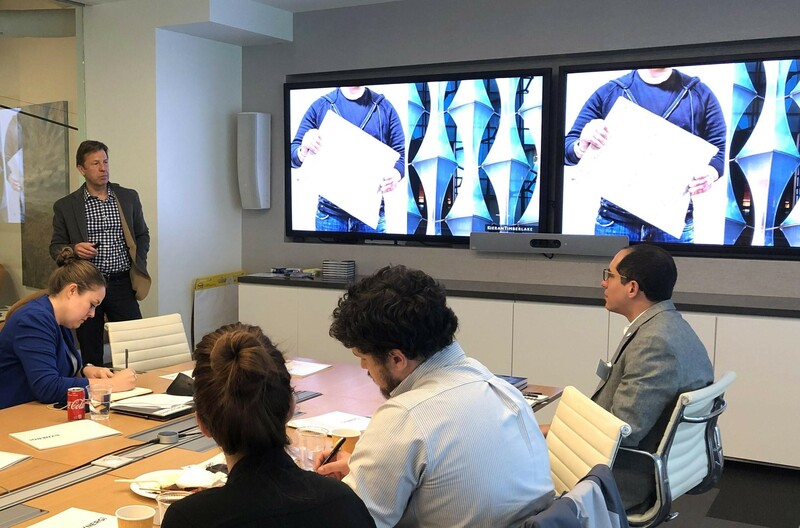 David Shove-Brown, Partner at //3877, concluded the session with a presentation on understanding how the day’s lessons could be applied directly to the architectural profession. With previous experience in both personality assessment programs and improv seminars, David was able to demonstrate aspects he personally uses in his own firm. The presentation first focused on the awareness that architects are not taught how to be collaborative in school, and how the reality of the profession requires complete collaboration with clients, consultants and colleagues. David shared his experience of surrounding himself with team members that compliment his weaknesses through their strengths. He also described action items the scholars could start using in their daily work and small tasks that could have a large impact on effective operations. Next, David shared 10 rules for conversation and strategies were discussed for developing communication skills. 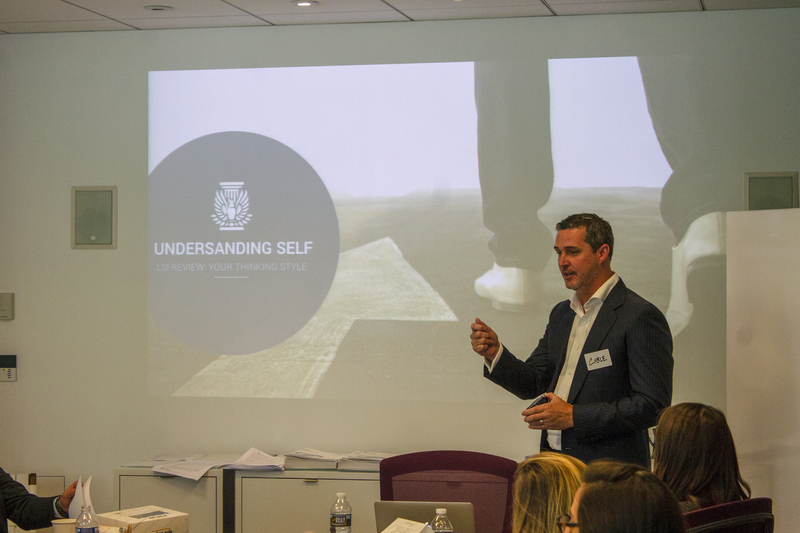 Finally, David encouraged the scholars to employ empathy, use clear communication tools, and to be willing to address difficult topics in order to improve relationships within an organization as well as with the clients they are working with. The scholars learned that human connection is important to be a successful leader. 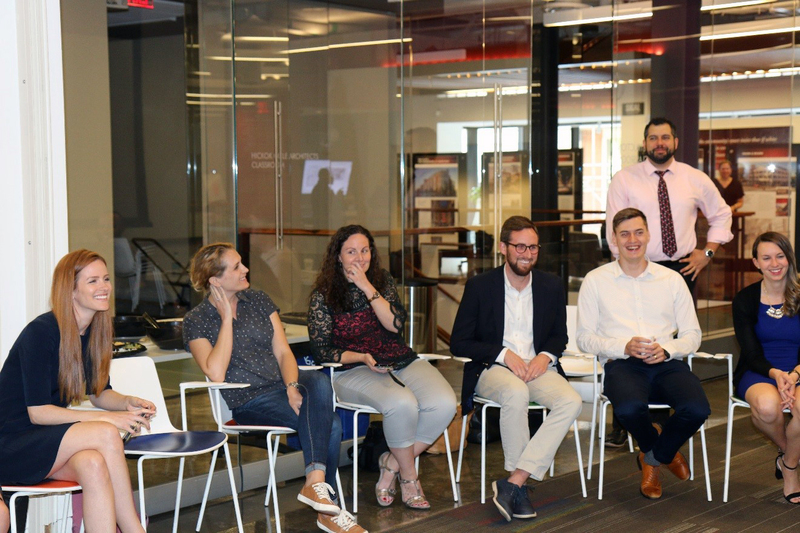 CKLDP kicked off the first official session of the year at the District Architecture Center with the new class of scholars on Friday September 7th. Teri Coates, current chair, and Kate Renner, past chair, collaborated to organize the events for the day and kicked off the afternoon by congratulating and welcoming the incoming class. Kate touched on the history of the program and it’s growth over the last five years. Teri provided a summary of the goals and expectations for the program and outlined the schedule for the day. She spoke from experience, as a former scholar, in reminding the class that what they put into the program is what they will get out of it and challenged the scholars to dream big as they embarked on the journey together. To kick of the leadership discussion for the afternoon, Teri introduced the first Keynote, Rachel Zsembery of Bergmeyer Associates, Inc., whose presentation focused on practicing with purpose. She emphasized the need to align your professional goals with your personal values in an effort to have the most fulfilling career. Zsembery outlined the behaviors of high trust individuals: the ability to talk straight, deliver results, and demonstrate concern among others. Scholars were presented with the idea that there is a difference between a mentor and an advocate and the idea that a successful career relies on both of these roles, often occupied by different people. Following the keynote, the sixteen scholars were asked to present a pecha kucha presentation in 90 seconds with 3 images: one to describe themselves, one representing the type of leader they are, and an image representing the future leader they wanted to be. After the presentations, the scholars broke up into groups of four to discuss their expectations for each session. With the help of some colored post its, each group was tasked with coming up with their ideas and expected outcomes for the overall topic and asked to report back to the class to summarize the information gathered. After regrouping, scholars were partnered up and tasked with creating an outline for their assigned session. With the vision boards as a guide, each pairing was given the opportunity to break out and further develop their ideas. After the brainstorming session, the advisory committee briefly introduced the scholars to the basic guidelines for graphics, the website, sponsorship, communications and online resources. 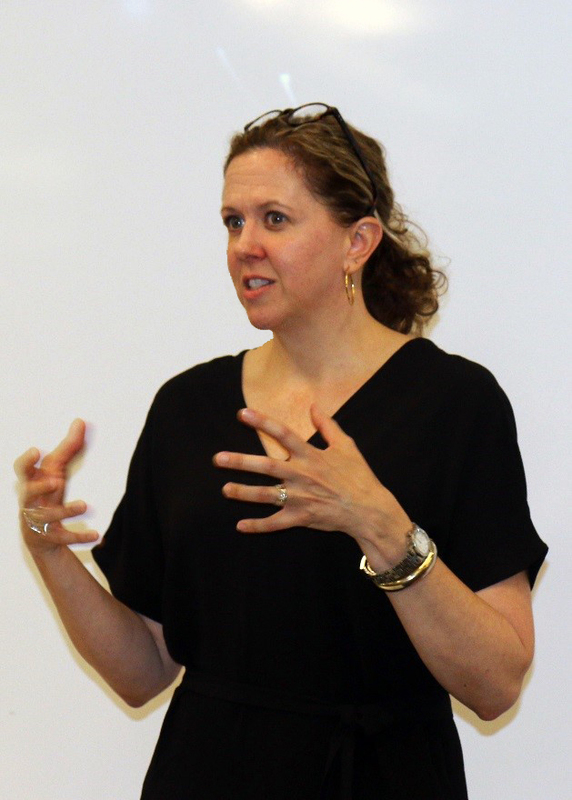 Shannon Kraus concluded the leadership discussion by presenting the idea of servant leadership. His talk, titled “Leaders Wanted. (Apply Within)” described a leader as someone who focuses on people, shares power, and puts the needs of others first. Kraus discussed why leadership should revolve around bettering others as you better yourself, highlighting the idea that we often limit our expectations without realizing it. 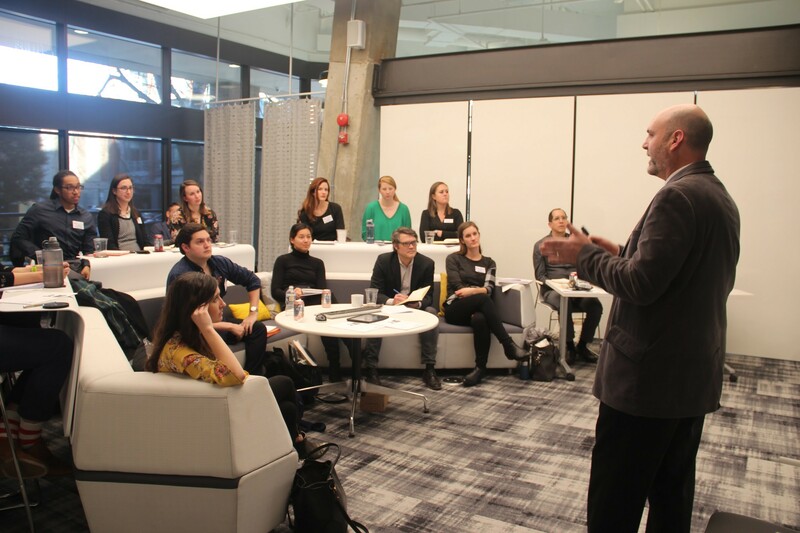 Following the key note, the class continued to discuss their excitement and expectations for the year over happy hour at nearby bar, Dirty Habit . If the energy and ambition of the class is any indication, it’s going to be a great year! 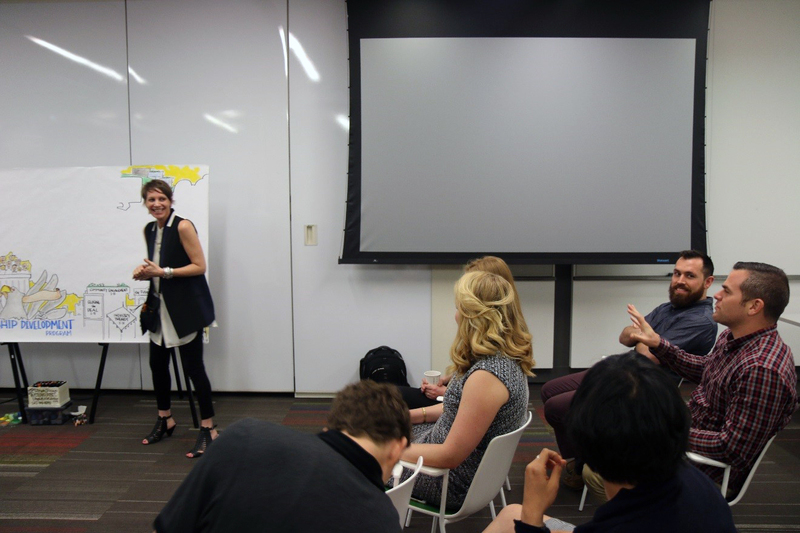 Eleanor Choi and Mike Johnson II organized the eighth and final session of the year focused on the topic, “The Future of Our Culture,” held on May 4 at the District Architecture Center. Through a series of presentations, small group discussions, and a unique personality assessment, CKLDP Scholars were able to gain insight into their individual management styles, better understand how biases impact decision-making, and hear about how a panel of industry leaders overcame bias and other challenges to find success. To close the session, the Scholars highlighted lessons learned over the course of this year’s CKLDP program, also discussing strategies for how to integrate those lessons into daily practice as they transition into principal leadership roles moving forward. Understanding one’s own strengths and weaknesses and how to leverage them can be key factors to achieving success within a firm. 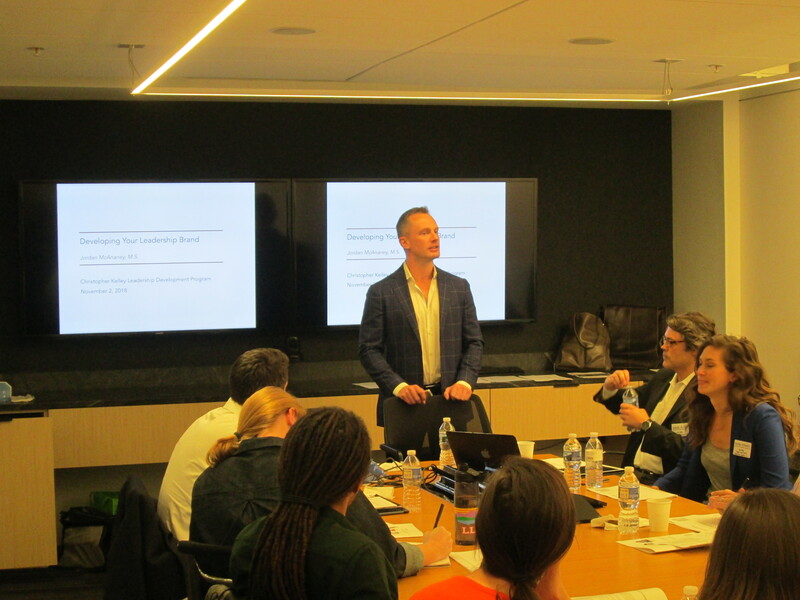 With more than twenty years of experience working with diverse and influential companies, Cable Clarke, President of Clarke Consulting, kicked off the day’s session with a presentation on effective leadership styles and implementing culture change within an organization. Prior to the day’s session, Cable asked participants to complete an online personality assessment that resulted in a comprehensive analysis of each person’s collaboration and management styles. Sharing anecdotes of how previous clients were able to utilize the assessment’s insights to improve company culture and team dynamics, Cable described several ways everyone might interpret the results of their personality assessments in order to become more collaborative, strategic, and effective leaders. Jamē Anderson wears a lot of labels: architect, artist, spouse, and mom were a handful of them she mentioned specifically, but a common thread tying these labels together was “maker.” Currently working as a Principal in SmithGroupJJR’s Cultural Studio, Jamē relies on her diverse artistic background to inform her architecture work and keep her inspired as she continues to take on new professional challenges and evolve her art. 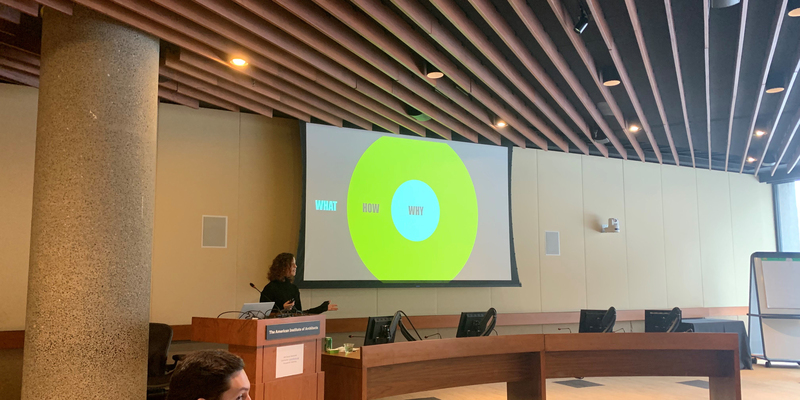 After a fascinating overview of Jamē’s non-traditional career path as an artist, exhibition designer at the National Gallery of Art, and architect, Jamē then spoke on the topic of bias. Having studied in-depth the way women are portrayed in the arts, and experiencing her own journey through a male-dominated profession, Jamē has developed a strong point of view about the role bias plays in the workplace. 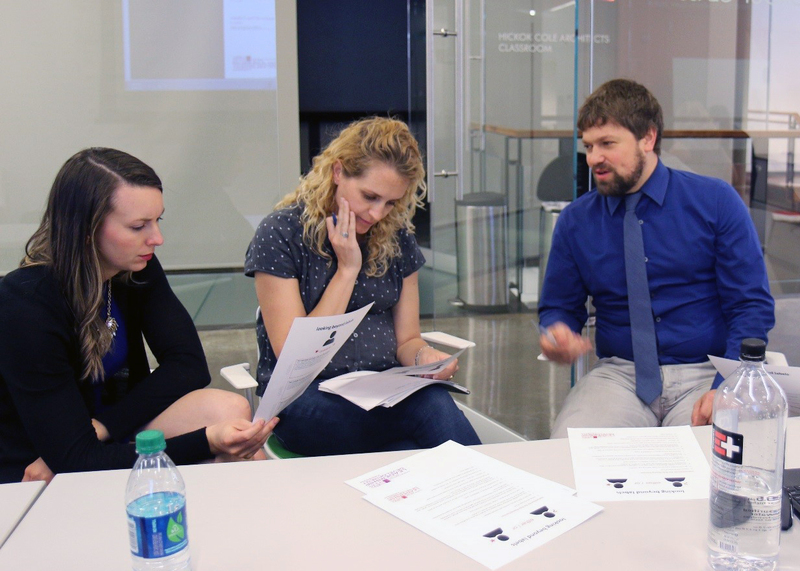 In an exercise intended to highlight others’ biases, the class divided into smaller groups and participated in an exercise where two hypothetical candidates’ resumes and interviewers’ observations were provided. After reviewing the information, each group was asked to select a candidate to hire and then explain why they made that decision. The follow-up discussion about balancing one’s subjective impressions and biases against a candidates’ qualifications on paper left the Scholars with some interesting food for thought as the activity ended. 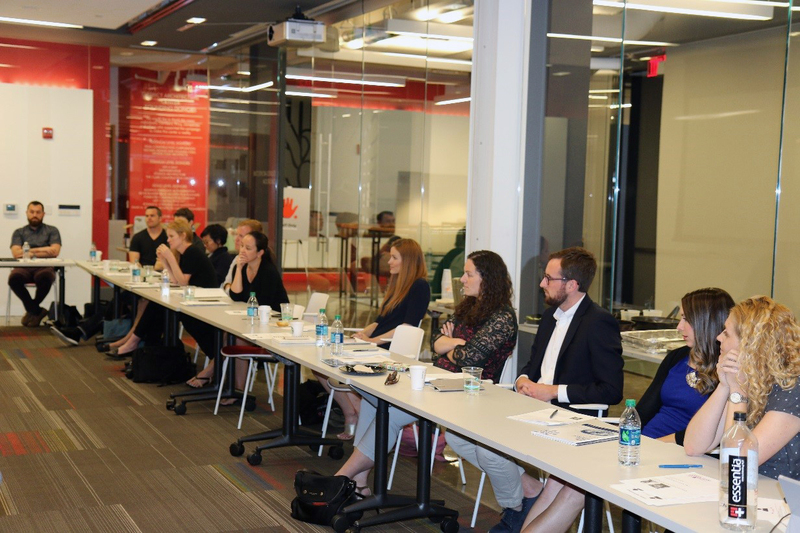 A roundtable discussion moderated by Eleanor Choi and Mike Johnson II brought four esteemed architecture professionals to the table to share personal experiences regarding education, diversity, career challenges, and achieving work/life balance. Hazel Edwards, Ph.D, FAICP, Assoc. 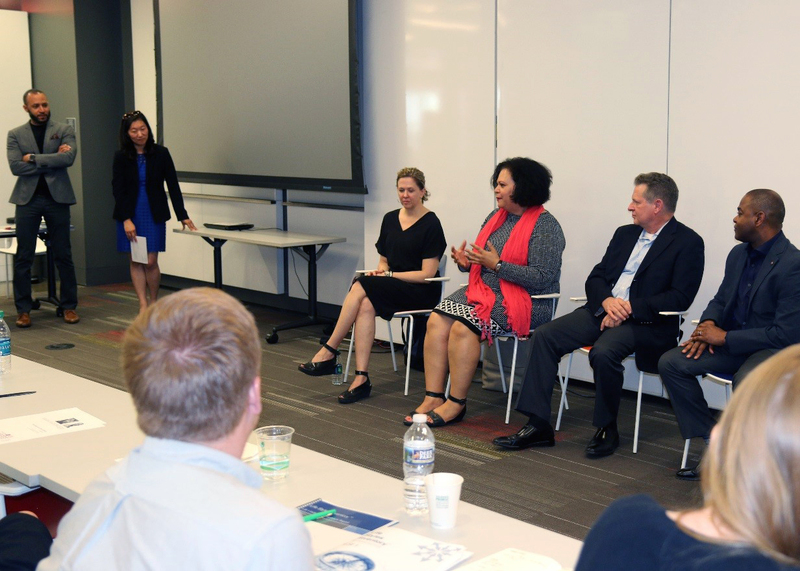 AIA of Howard University; Gene Klus, AIA, LEED AP of Stantec; Kevin Sneed, FAIA, IIDA, LEED AP BD+C of OTJ Architects; and Jamē Anderson, AIA of SmithGroupJJR answered questions and shared their perspectives on changes impacting the field of architecture and architecture education. Reflecting on these questions, this year’s class of CKLDP Scholars discussed their key takeaways as the program ended. A few of the points made include: discovering the many ways to be leaders together; gaining perspective into the diversity found within the practice of architecture; finding the courage to break out of one’s comfort zone; becoming inspired to engage more with the wider community; and learning how to advocate for a better, more equitable profession in which everyone thrives. As Scholars talked, graphic artist Steph Brown translated the comments onto an oversize poster. By the end of the session, Scholars had filled the poster with lasting impressions from their nine months participating in the CKLDP program.